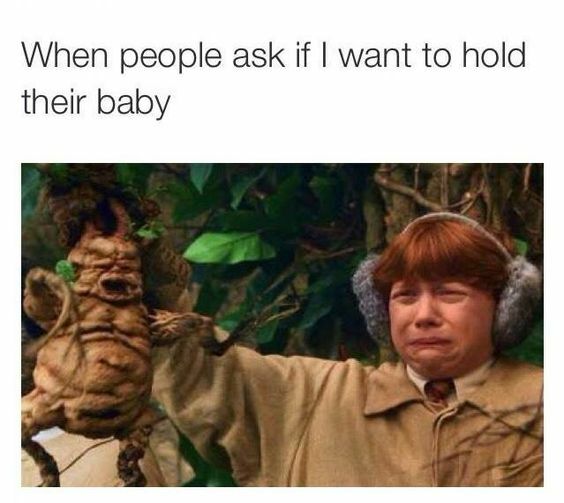 She screamed like a mandrake...until this! 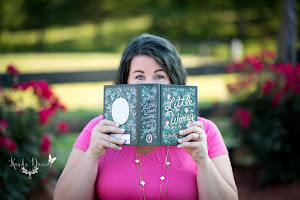 A Harry Potter reference for all of my muggle friends! 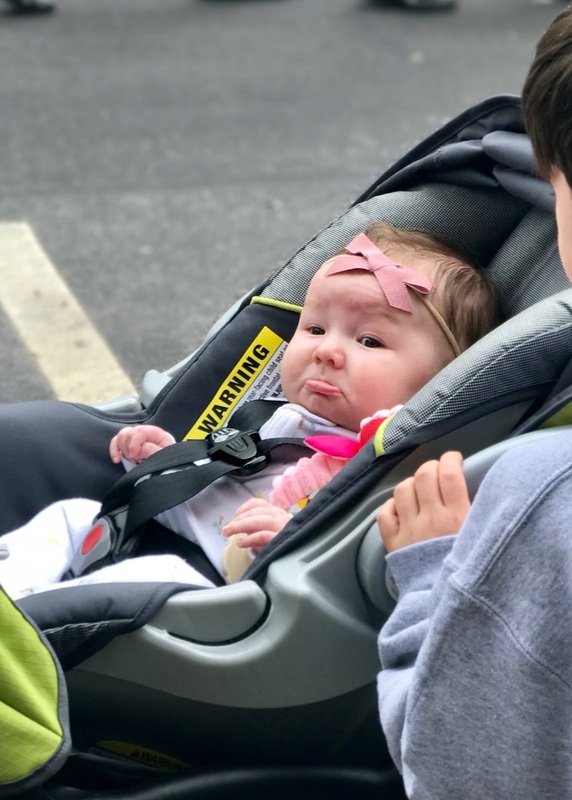 Her hatred for the car seat carrier made it difficult to take her with me to run errands or even put her in the stroller for a walk. Besides her car seat carrier, the only other place she can sit is on my hip. 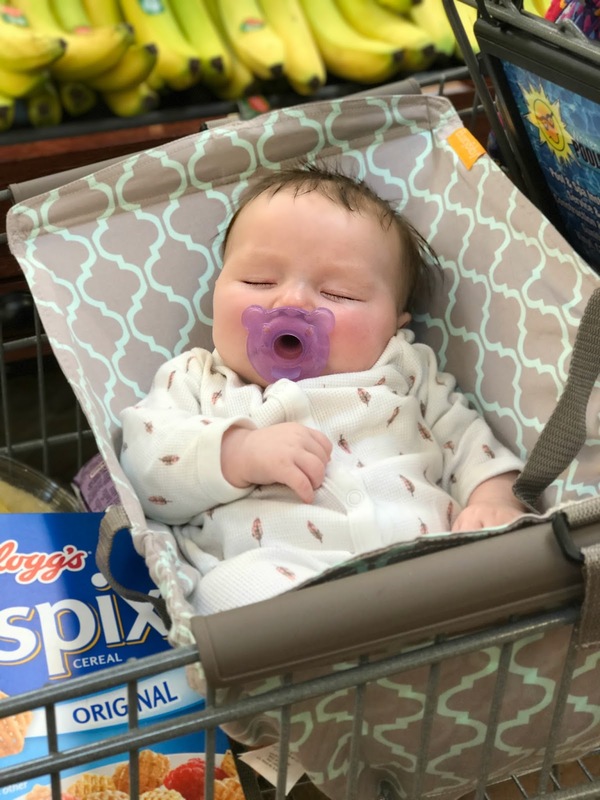 She cannot support her head and body enough to sit in a seat on her own, so putting her in the grocery cart seat isn't an option yet. Well, any mama of 2 and wife of 1 will tell you that grocery shopping is never an option. 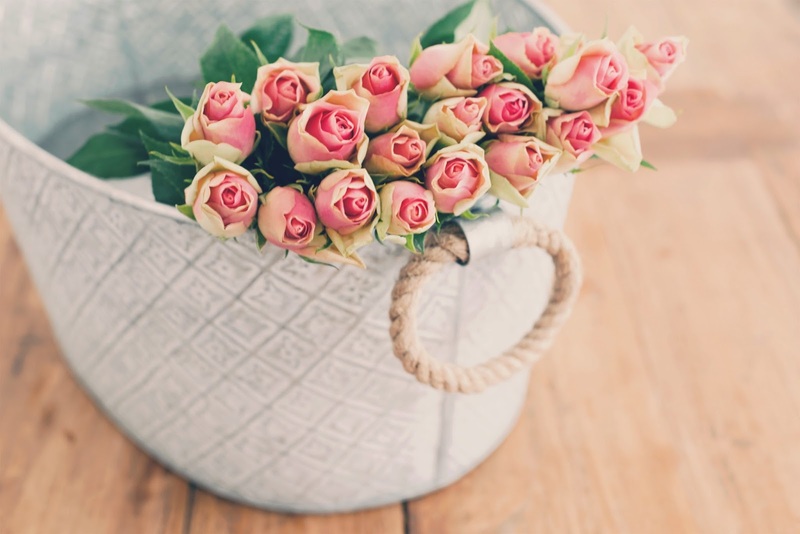 Whether you feel like it or not, it has to get done. The Binxy Baby. This thing is awesome, y'all! 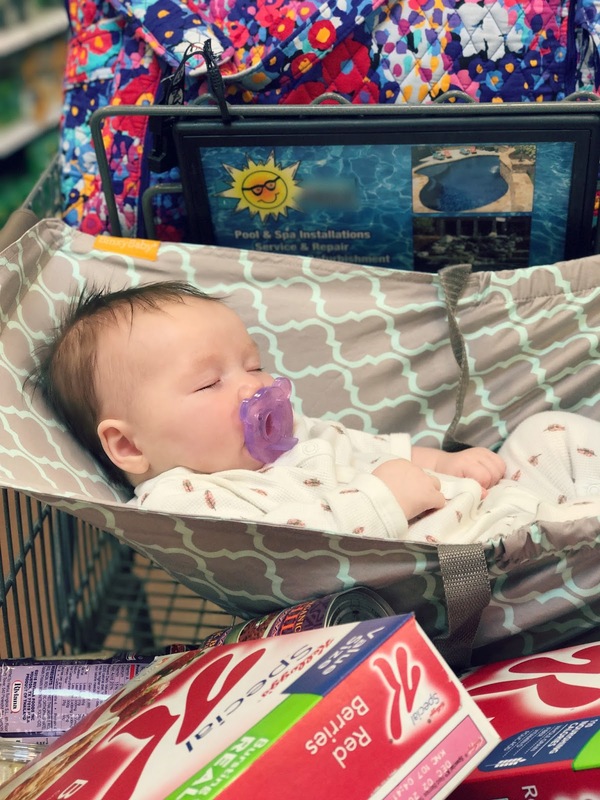 It is like a little hammock for babies that fits most standard grocery carts. It straps on to either side of the grocery cart and provides a comfortable space for your baby. There are also straps inside so that you can buckle in your little one. Viv really enjoys it as it gives her a break from being in the car seat carrier. 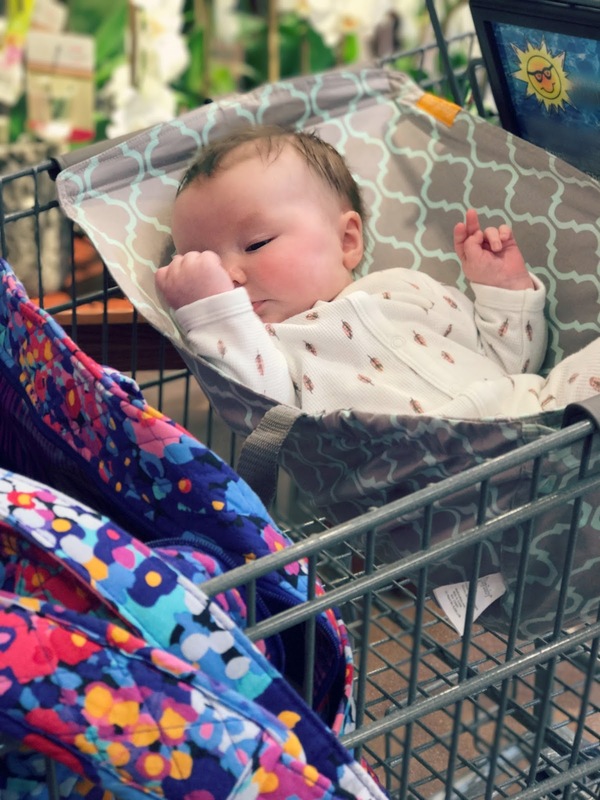 You can also put the car seat carrier on the Binxy Baby if your babe is already asleep in it, which keeps space free in the cart. 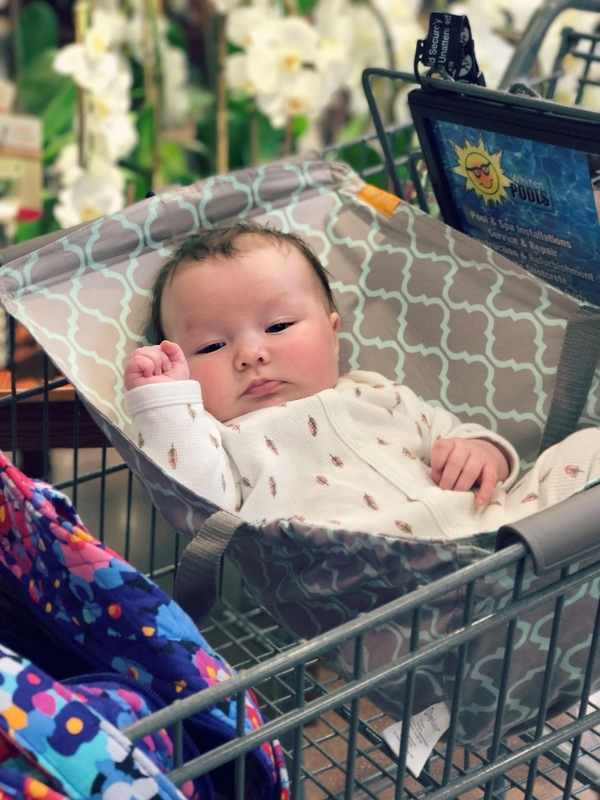 The Binxy Baby will support the car seat carrier up to 50 lbs and is meant to use until babies are able to sit up on their own. 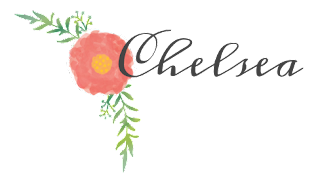 This product is super cool and I really recommend all of my mama friends and readers purchase one ASAP. 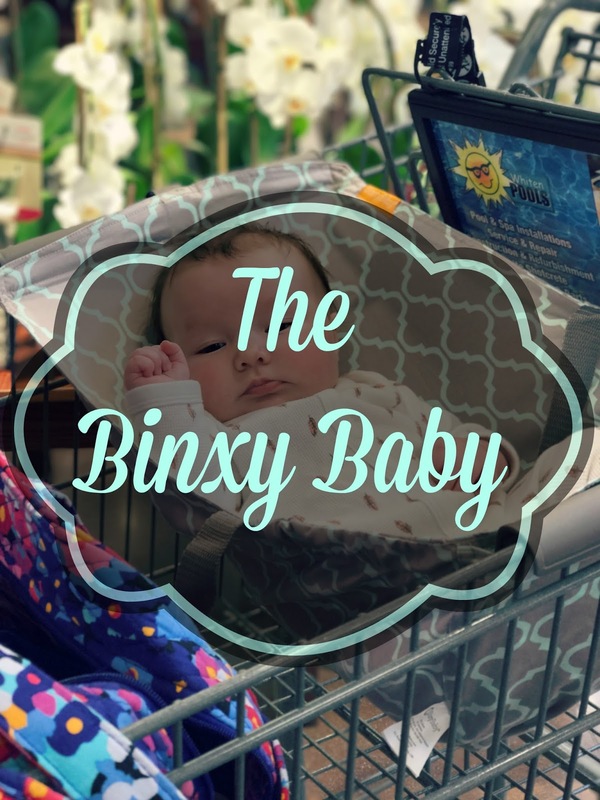 No more stacking groceries on top of the baby in the car seat carrier...Binxy Baby has made grocery shopping with a babe and boy much easier!